Mercy Health System of Maine will be absorbed by Eastern Maine Healthcare Systems. PORTLAND, Maine — Eastern Maine Healthcare Systems, based in Brewer, on Wednesday officially secured a beachhead in southern Maine when it received final state approval to absorb Portland’s Mercy Health Systems of Maine into its organization. The move pits EMHS, parent of 411-bed Eastern Maine Medical Center in Bangor, head to head against MaineHealth, parent company of Portland’s Maine Medical Center and the state’s largest health care system, and has the potential to alter the southern Maine health care landscape, according to experts in the area. The deal will allow EMHS, which besides EMMC operates six other hospitals throughout northern and eastern Maine, to absorb the 230-bed Mercy Hospital in Portland, as well as VNA Home Health Hospice in South Portland, an addiction treatment center in Westbrook and Mercy’s primary and urgent care centers, into its larger system. 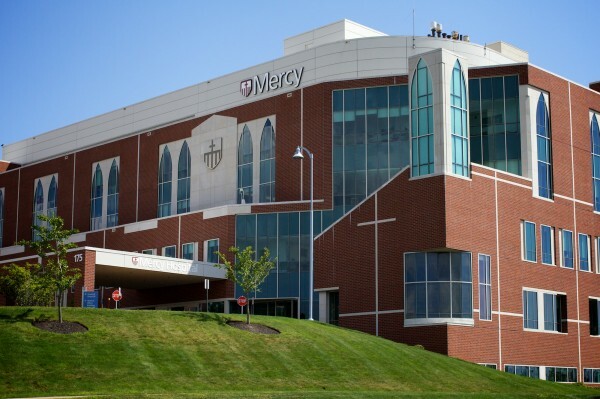 Mercy is owned by Pennsylvania-based Catholic Health East. It will retain its Catholic identity and nonprofit status. In the short term, the deal likely will increase competition in the Greater Portland market as EMHS is able to bring its financial capacity and economies of scale to bear on Mercy’s campus, putting downward pressure on prices and elevating quality, said Mitchell Stein, policy director for Augusta-based Consumers for Affordable Health Care. However, long-term implications may be different. Andrew Coburn, chairman of health policy and management at the Muskie School of Public Service at the University of Southern Maine, says the merger between EMHS and Mercy is consistent with the larger trend in the health care industry towards consolidation. Large systems like EMHS and MaineHealth gain economies of scale as they continue to absorb smaller hospitals and physician practices into their organizations. Coburn doesn’t know the motivations of M. Michelle Hood, CEO of EMHS, or Eileen Skinner, CEO of Mercy, neither of whom were available on Thursday for comment, but he can speculate based on his experience in the industry. “I’m assuming this is a move [by EMHS] to enter into the most populous part of the state in order to secure more of a population base for some of the specialty services that EMHS has, and for which they currently have a limited population base in their existing service area,” Coburn told the BDN. Mercy would increase EMHS’ inpatient capacity by 32 percent, according to documents. Conversely, smaller hospitals such as Mercy, which has been struggling financially for the past few years, see benefits to merging with larger health care systems to gain access to more financial capabilities. As part of the deal, EMHS has agreed to invest “no less than” $115 million over five years in Mercy’s operations, including to consolidate Mercy’s operations at its Fore River campus, which alone will provide $7 million in annual cost savings; improve operating performance; and to finance the integration of Mercy into the larger system, according to the certificate of need approval. “I think the question is what is the level of burden, if you will, that Mercy may represent at least for a period of time for EMHS to carry to get to a place where the combined finances and services are really competitive or sustainable,” Coburn said. Another interesting question that Coburn would like to see answered is how this merger will affect the collaborative relationship EMHS and MaineHealth have had in the past. “I don’t think we know the answer to that. It’s interesting from that point of view that EMHS is acquiring a hospital in a market area that is dominated by a strong collaborator,” he said. But what’s clear is Maine Medical Center, from which no one agreed to comment for this story, is definitely paying attention, according to Coburn. “I’m sure MaineHealth is doing a lot of due diligence on what’s happening with this merger and positioning themselves so they can deal with whatever emerges once this deal is done,” Coburn said. Maine and Portland are relatively small markets. “There’s probably not enough of a population base to have two different systems competing for what is essentially a small market,” he said. And the markets will only get more crowded. Looking ahead, Coburn said hospitals in the Boston area will begin to be more competitive in the Maine market with the assistance of telehealth technology. “I think it is a very uncertain market going forward, and I think it will be challenging for all parties involved to sort out how they will position themselves in the new marketplace,” Coburn said.